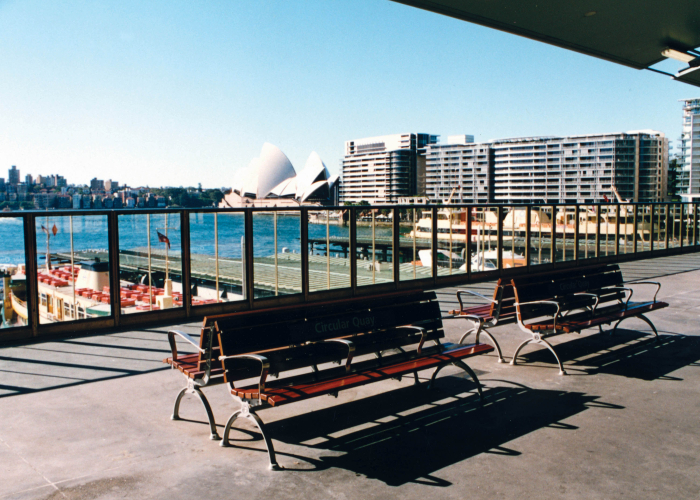 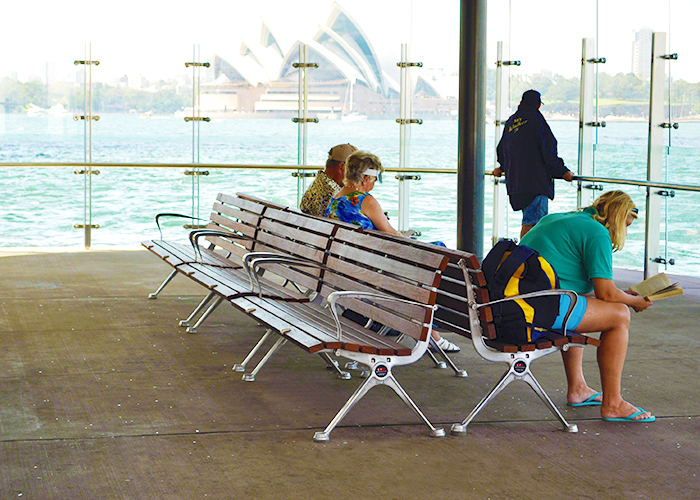 Pairs of Mall Seats sit proudly on the two platforms of Circular Quay Station, overlooking Sydney Harbour. 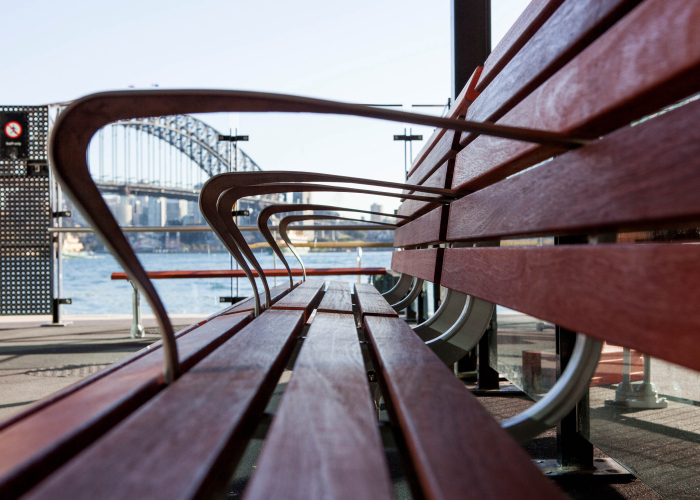 Installed more than fifteen years ago, the seats have stood the test of time. 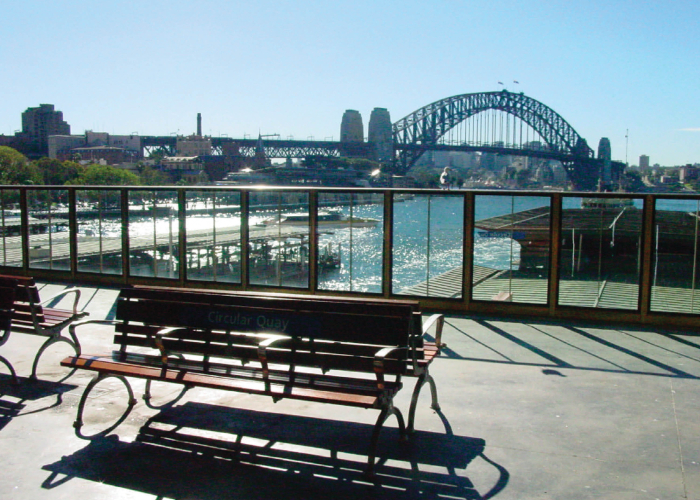 Still in good condition, they continue to provide travellers with a place to pause along their journey and enjoy the view. 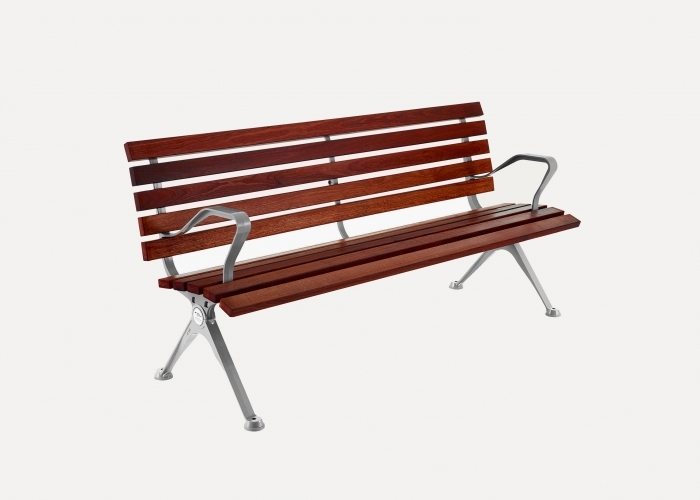 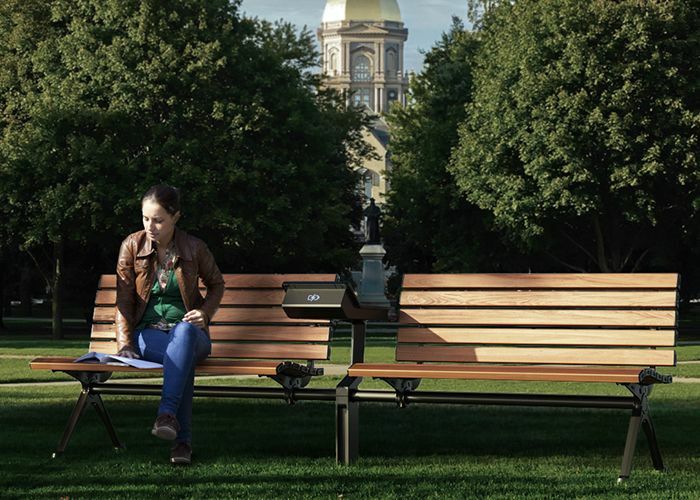 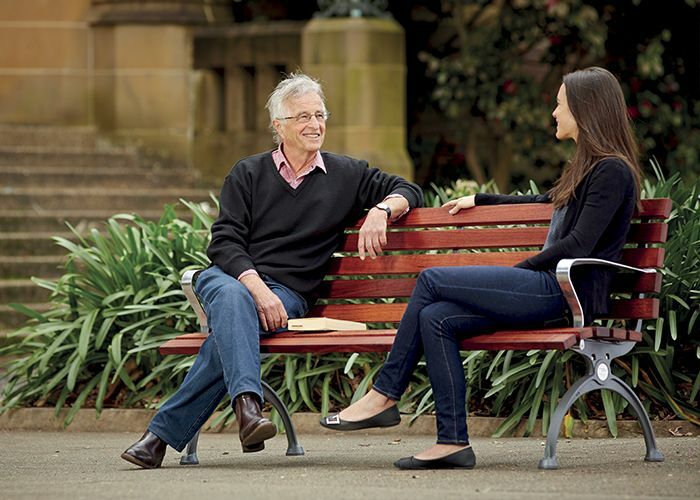 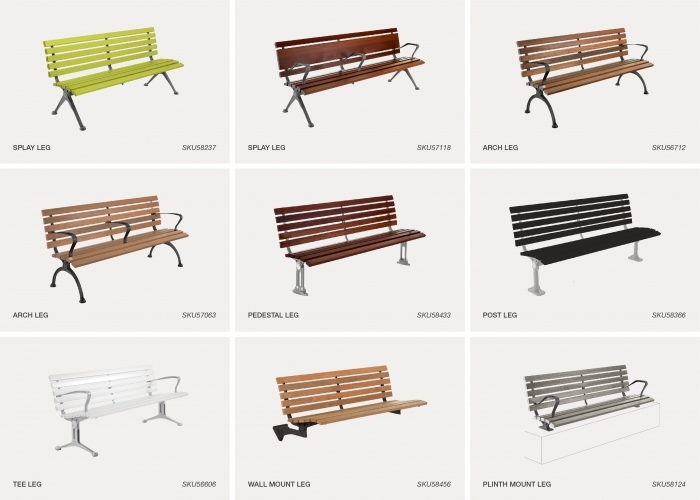 With helpful armrests and an upright profile, the seats meet DDA standards for accessibility. 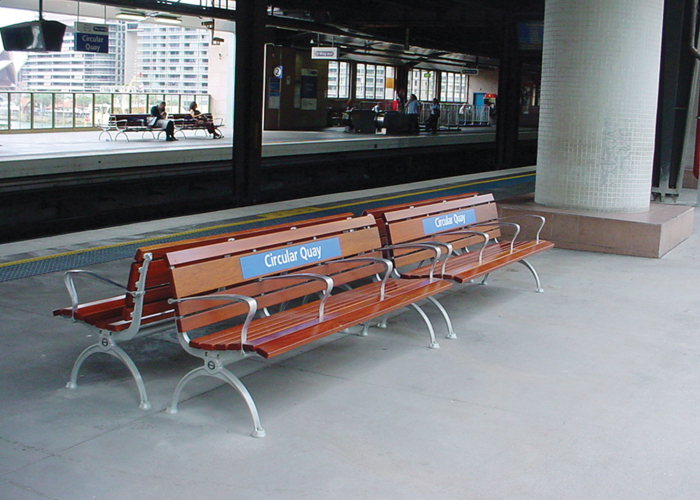 28 Concourse Seats were purchased and installed as part of the refurbishment of Richmond Railway Station in western Sydney. 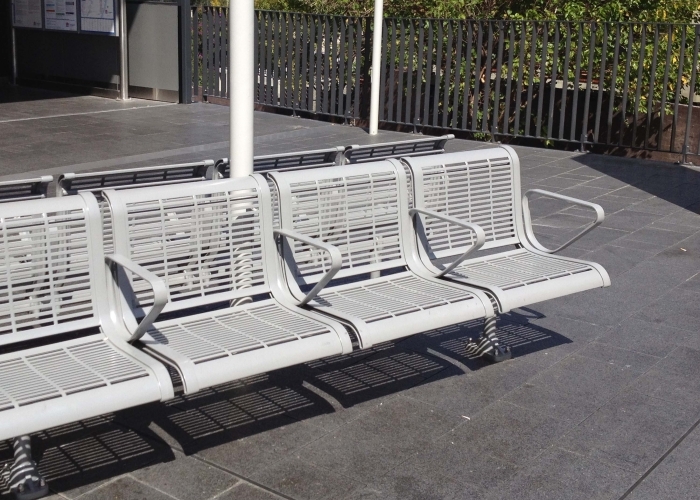 The seats have been configured to the specified RailCorp standard – four panel seats, powder coated in precious silver with post legs, triangle arms and a unique 7 degree tilt for accessibility. 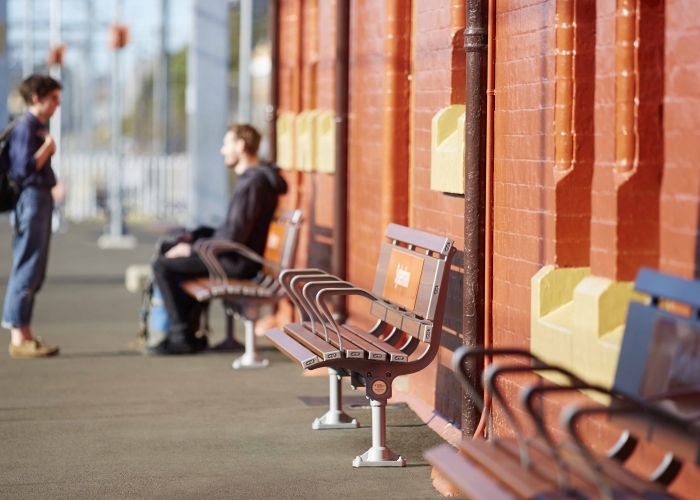 Concourse Seats and Arqua Fountains were purchased and installed as part of the recent upgrade to Newtown Railway Station in inner-west Sydney. 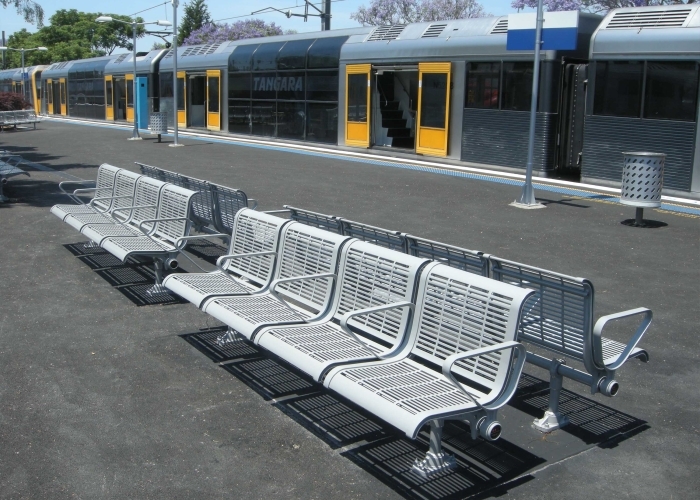 The seats have been configured to the specified RailCorp standard – four panel seats, powdercoated in precious silver, with post legs, triangle arms and a unique 7-degree tilt for accessibility.